DJ Richie Rich’s motto is to be Creative, Fun & Elegant When the Music Matters Most! Richie's passion for music and entertaining began in college as an assistant DJ helping his step-father set up and coordinate for Quinceaneras & Latino Weddings. Upon graduating from UCLA, Rich returned home to Santa Barbara and began dj’ing exclusively for weddings. Today, DJ Richie Rich is well immersed into the “Wedding DJ” scene as well as performing for local corporate companies in town including the Four Seasons Biltmore, Doubletree Resort, SBCC and Cottage Hospital. As a specialized Emcee Host and professional Wedding DJ, his knowledge and experience lies in transforming wedding receptions into Personalized and Creative Celebrations. 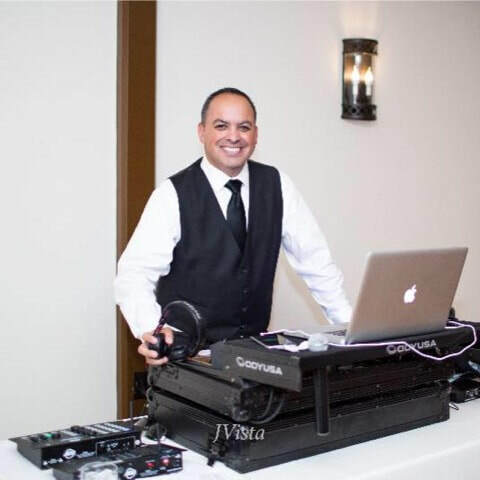 DJ Richie Rich’s positive energy helps brides & grooms create an unforgettable Santa Barbara wedding experience for everyone to enjoy.